BEAUTIFULLY PRESENTED IN GATED BERWICK COMMUNITY!! If security, privacy and quiet living is what you are seeking then look no further than this fantastic opportunity in one of Berwick's only Gated communities. 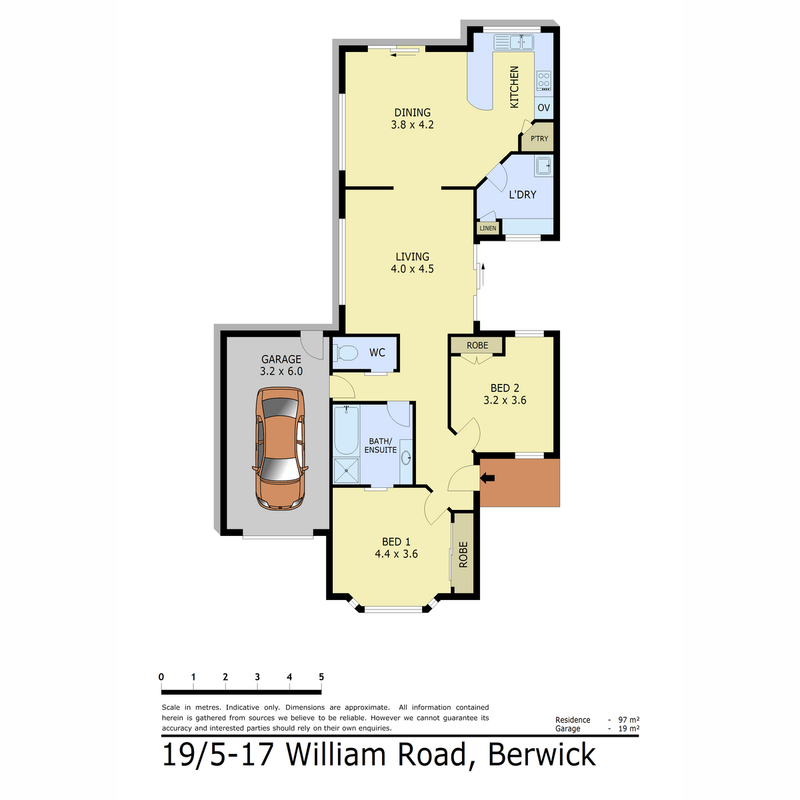 Nestled within walking distance to High street and all that Berwick has to offer this feature packed home is an absolute dream for the downsizer or first home buyer looking for something unique. Comprising 2 spacious bedrooms both with built in robes, a walk through ensuite from the master, 2 generous living zones complete with ducted heating, evaporative cooling and ceiling fans for all year round comfort plus a very well appointed kitchen with an abundance of bench space and quality appliances. Step outside to your extremely low maintenance backyard offering a single garage with remote and internal access, undercover entertaining area ideal for the family get-together along with direct gate access to one of the complexes wonderful private open park areas. To top this wonderful package off are roller shutters to almost all windows, an abundance of visitor parking only a stones throw away, communal swimming pool to use all year round and surrounded by lovely well maintained neighbouring homes. This property is a must see- CALL NOW! !